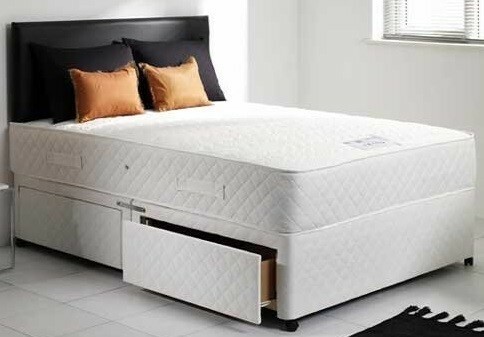 The Mayfair White 5ft King Size Memory Foam Orthopaedic Sprung Divan Bed comes with a superb memory foam which allows you to sink slowly into the mattress, giving an unforgettable nights sleep. This mattress is perfect for anyone seeking a firm mattress with the all the benefits of memory foam. The Mayfair's Mattress is constructed around traditional 12.5 gauge spring units with ultra-supportive layers of 5cm high density visco elastic Memory foam to distribute pressure and to provide ultimate comfort and support .